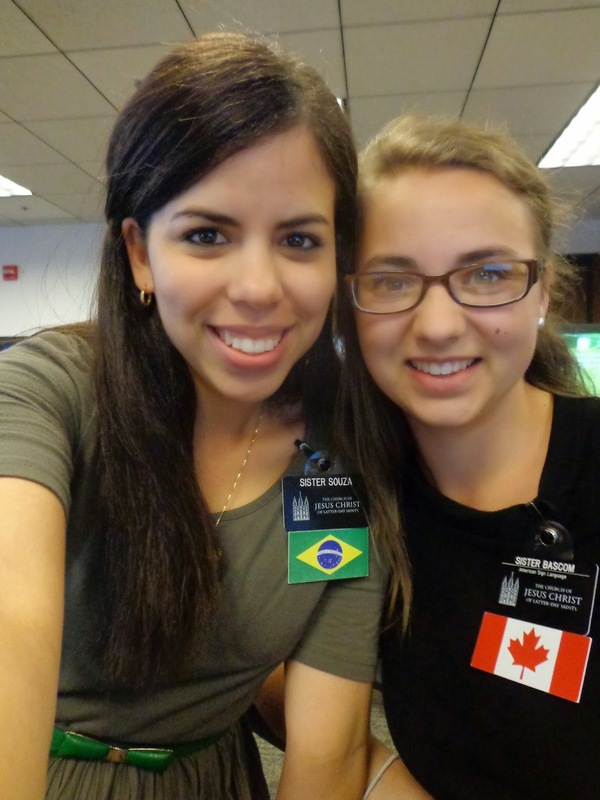 Sister Bascom started her mission of with her trainer Sister Dias from Brazil. I have a lot of friends that are returned missionaries that talk about how much they miss this work and teaching all the time. This makes me want to savour every minute I have left. But this last week has been kinda hard. I feel like I am going through a little more purifying, the Lord isn't going to let me rest just yet. Nope not in my last 6 weeks of the mission. There have been the usual trials of the mission. Trying to find those who are prepared for the gospel and not get discouraged about those who aren't yet ready. Every person I seem to talk to have those deep questions that I still can't answer myself and bother me too…(I hate not being able to answer someones question.) Its really been a trial of faith, these last few days. My progressing investigator was about to drop us before I reminded him of how he felt on Temple Square. Relief Society was really what I needed though. There were 4 speakers all talking about how Temple Square had changed their lives. To hear about people that were touched by us without us really knowing it is really good. As for the zone, it hasn't changed a ton. The DLs are the same awesome sisters. We have the best trainers in our zone! Sister Yeung is the new AP :p We met with the DLs yesterday and we were able to talk about what we really want our sisters to feel this transfer and for the rest of their missions. The spirit was really present. We talked about really owning the square and the he power and authority of our calling. It was awesome! I can't wait for training meetings. This transfer will be great! And Finishing with Sis Souza also from Brazil.